We pride ourselves on taking a practical, sensible approach to helping our clients. We also provide legal services in areas related to these core areas of practice. We work with you to ensure a cost-effective solution that fits your priorities. We understand that ‘not one size fits all’. Whether you need a document notarized by a notary, going through a divorce, negotiating a separation agreement, buying your first house, refinancing, dealing with a matter in Small Claims Court, want to incorporate your company or drafting a Will or Power of Attorney, it is invaluable to have a professional by your side to guide you through the maze of choices. Lawyers in Barrie are Bruce Owen, Trevor Owen, Anna Danaj and William Francis. 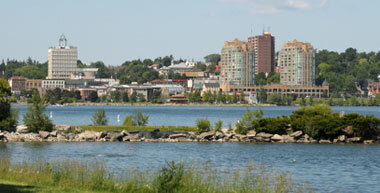 Owen & Associates Law has been providing the City of Barrie and area with high quality legal services since 1959. Our lawyers and staff are a friendly group of professionals who are dedicated to providing all of our clients with excellent services. Residential and commercial real estate and legal services; family lawyers to advise and attend divorces, separations, child custody; Barrie law firm for trusts and estates, living wills, powers of attorney; general litigation and small claim court cases.